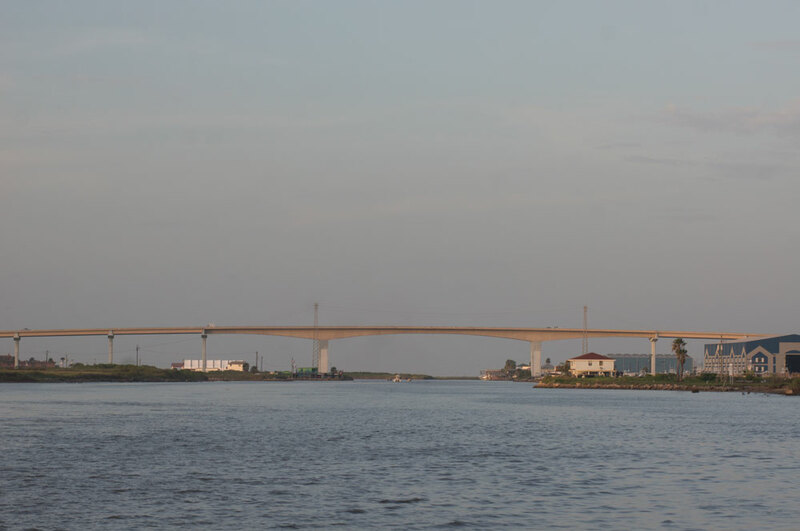 This Marina is located in Freeport, Texas on the ICW, just east of the 332 Surfside Bridge. The bridge height is not listed on charts but clearance was no problem for our O’Day 34 or the Pearson 422 that was with us. 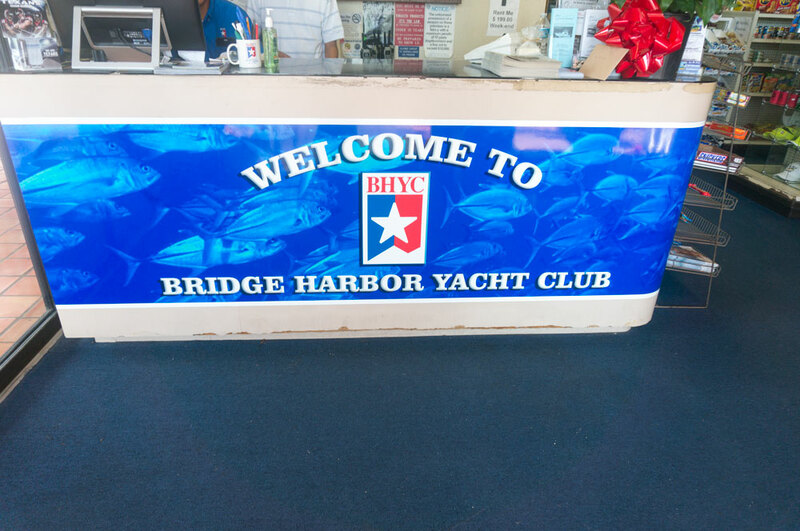 Bridge Harbor Yacht Club has made a huge number of improvements in the past three years. The marina has a full service fuel dock with both diesel and gas. There is a small ship’s store that is open regular hours and sells all the basic boater needs. 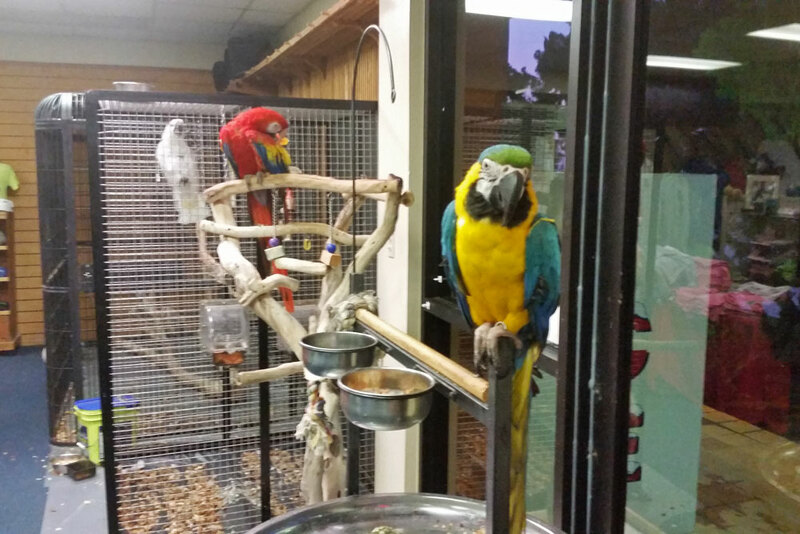 The store also has a welcoming crew of four beautiful parrots who are an attraction all to themselves. There is also a large beautiful restaurant in the main building. We didn’t get a chance to eat here because of our late arrival, but I have heard the burgers are the best in Freeport. 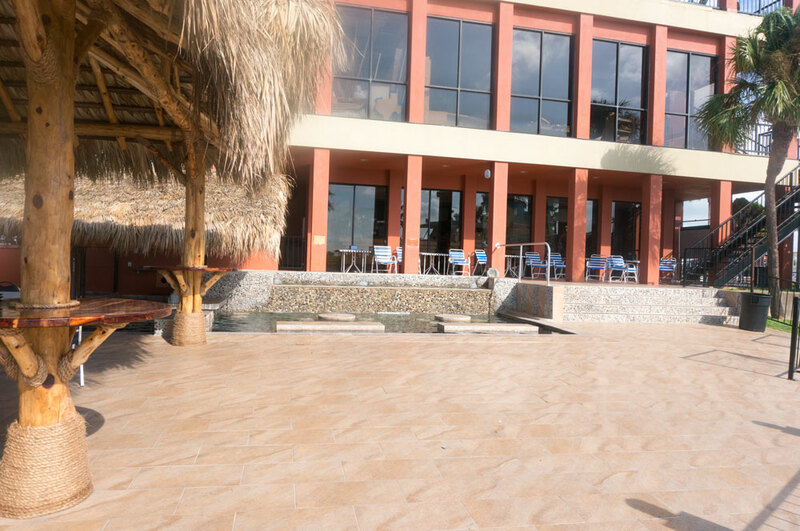 Attached to the restaurant is a small pool with a swim-up pool bar and several tables. Currently they do not have a liquor license, but the bar should be opening soon. There is also another pool as well as tennis courts overlooking the water near the adjoining condos, which are partially owned by BHYC. Restrooms were clean and very close to the transient docks, and the owners and crew at the marina were very friendly and helpful. 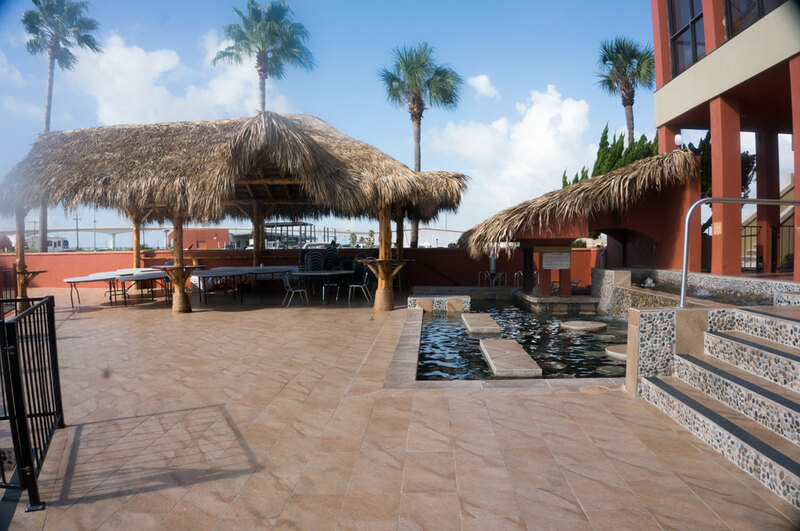 Reservations were simple to make, and there was no trouble getting a slip during Labor Day weekend. I think this place will really draw a crowd next summer, as this marina is really going to be very nice and finished by then. The only issue we found is that there is very limited dog walking space. Nice informative blog you represented here. I even have pinned up all wonderful images for the next step to my pinterest followers. Thank you.